Ellen Arnold teaches Ancient, Medieval, and Early Modern History at Ohio Wesleyan. She is interested in the ways medieval people incorporated nature and the environment into both their everyday life and into their cultural imagination. Prior to coming to OWU, Arnold taught at Macalester College, the University of Wisconsin at Oshkosh, and the University of Minnesota, Twin Cities. In spring 2012, she was a Fellow at the Rachel Carson Center for Environmental Studies, working on a history of medieval views of rivers and water control. “An Introduction to Medieval Environmental History,” History Compass, 6/3 (2008): 898–916. “Engineering Miracles: Water Control, Conversion, and the Creation of a Religious Landscape in the Medieval Ardennes,” Environment and History, 13.4 (November 2007): 477–502. “Engineering Miracles” was recently anthologized in Sarah Johnson, ed. Landscapes (Themes in Environmental History), 148–172. White Horse Press, Cambridge: UK, 2010. Negotiating the Landscape: Environment and Monastic Identity in the Medieval Ardennes, University of Pennsylvania Press (2012). Arnold’s current research project, “Cultural and Religious Views of Rivers in the Middle Ages,” explores medieval attitudes toward rivers and water resources. The project draws on narrative sources such as miracle collections, saints’ lives, and histories. Analyzing these sources for environmental themes reveals the complexity of medieval understandings of water and the natural world, and highlights the depth of their engagement with riverine ecosystems. 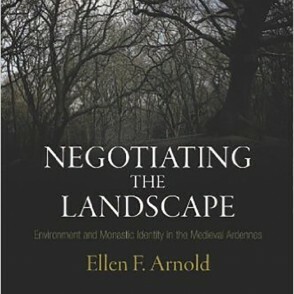 Her first book is Negotiating the Landscape: Environment and Monastic Identity in the Medieval Ardennes (2012). It is about the Benedictine monks of Stavelot and Malmedy. She is particularly interested in the ways that these monastic communities told stories about both wilderness and domesticated nature, and how those stories became part of their historical and environmental imagination. 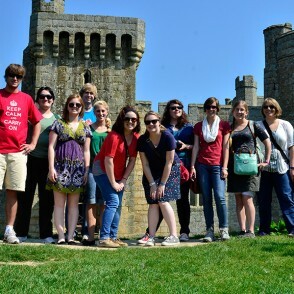 Teaching Interests: Arnold has led two Travel-Learning Courses on Castles and Cathedrals to the U.K.